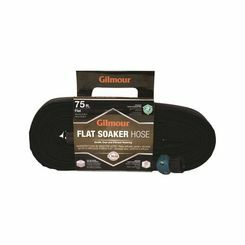 A soaker hose is the perfect solution for many gardens. 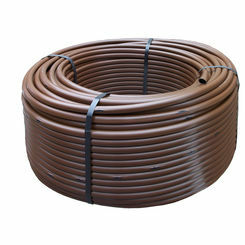 There are many options for delivering water to the desired area of your lawn and garden, but as you probably already know, drip irrigation technology is ideal for plants. 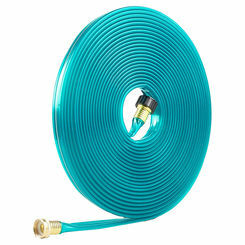 A soaker hose offers a porous design that soaks the area where you choose to place it. 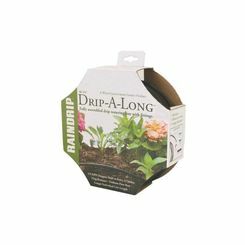 Its flexibility allows you the convenience of moving it around with convenience for the optimal watering. 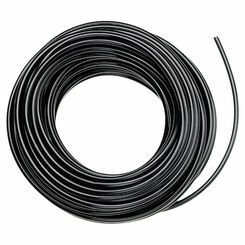 Save on dozens of Toro, Orbit, and Rain Bird soaker hose options with the irrigation experts here at PlumbersStock. Irrigating with a soaker is as easy as setting a timer. 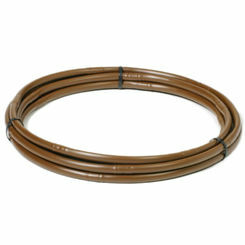 Drip soaker hoses are convenient and great for watering plants throughout your landscape design. 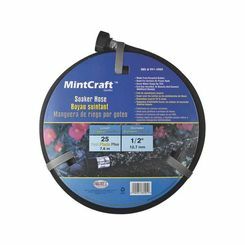 They are lightweight and a perfect way to water foliage efficiently without water waste and taking up your time. 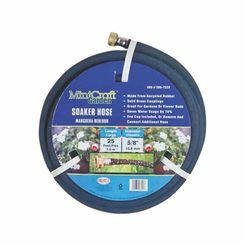 The hose's tiny holes shoot water out at a rate that makes it easy for the plants to absorb the water before it is lost to runoff. 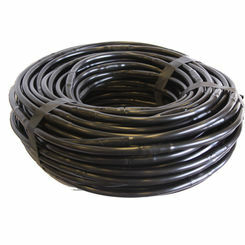 Soaker hoses are used for gardens, flowerbeds, shrubs, bushes and perennials. 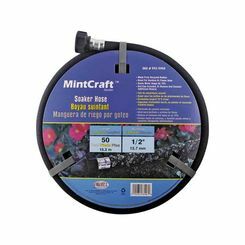 They are inexpensive to buy and make watering your landscape completely easy. 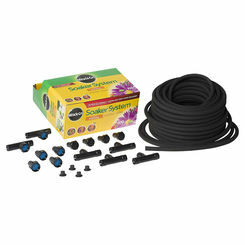 Reduces waste – Traditional sprinklers don’t efficiently deliver water where plants need it most. When it comes to watering your plants, the leaves don't need watering, the roots do. 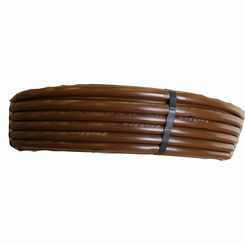 A soaker hose will water your vegetation right by the roots, reducing waste. 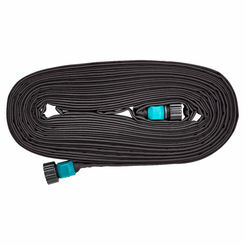 Prevents runoff - Many watering systems release water at such a high rate of speed that the soil doesn't have time to absorb it before it evaporates or runs off. 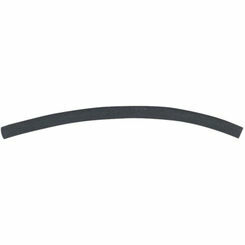 When you use a soaker hose it releases water at such a low rate that the soil has time to absorb it before losing it to runoff. Helps prevent plant diseases - Watering your plants near the roots can help prevent your vegetation from getting diseases. Plants that receive water from the roots are less likely to inherit leaf mold and are known to last much longer. 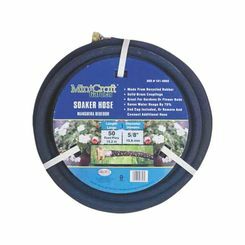 Watering with a soaker is very easy. 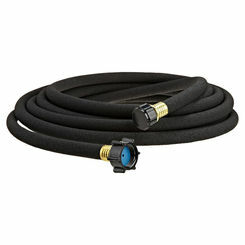 Once you have all the parts you need you can let your hose do all the work. 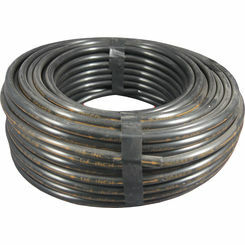 Many soaker hoses come in 25, 50, and 100-foot lengths. 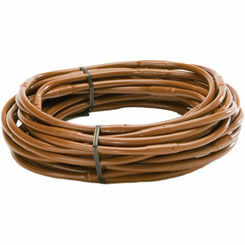 The size you will need to buy is dependent upon the size of your landscape and how much area you will need to water. 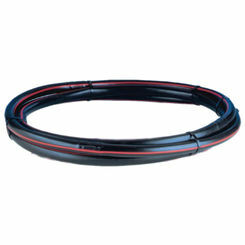 You can also purchase some adapters, gaskets, timers or other accessories to help you get the job done. Once you discover just how easy it is to water with a soaker hose you will wonder why you went this many years without one. They are not only convenient, easy and efficient, but they are also great for keeping diseases and other problems away from your plants. 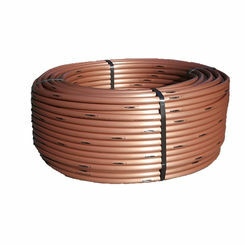 If you want to experience what a soaker hose can do for your landscape design, check out our website today and find a style that is right for you.